Well it's been a scorching few days for most of the UK and it looks set to continue for a while yet, so it's a great time to get out and about and have a wander around some of the great Antique Fairs that happen in the UK! In this month's newsletter we take a look at a popular antique fair in Norfolk and detail a few of the new pieces that have been added to the Perfect Pieces webiste in the last month. 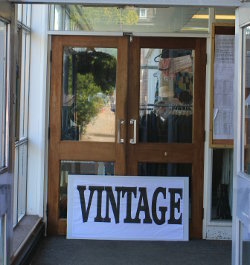 On Sunday 7th July we visited the Gresham's Antiques, Collectors & Vintage Fair, based at Gresham School in Holt, Norfolk. This antique fair is organised by Nelson Events. It was a very very warm Sunday and there were lots of people visting the fair and a very good turnout of stallholders too. Stalls were based within a marquee and on the grass and gravel grounds surrounding it. 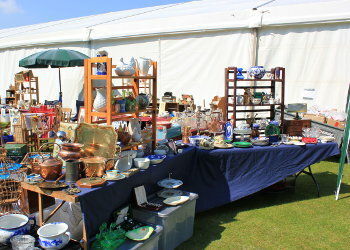 There was a wide range of stock available including furniture, British and European ceramics, British collectables, other memorabilia, glass and a whole vintage section in a small building near the marquee. There was ample free parking and facilities were good with toilets and a cafe area. The entrance fee when we went was �4 for adults. To read more about this antique fair and read about the other antique fairs that Nelson Events organise, please visit their website, Nelson Events. If anybody else has any reviews of any antique fair you've been to then be sure to let us know. We have added a selection of retired PenDelfin rabbits and some more genuine Troika Pottery to our website this month. Here are a couple of pieces - a lovely Troika Marmalade vase with fetching design and a super cool PenDelfin rabbit, all ready for the football pitch! A Troika Marmalade vase decorated by Penny Black and a retired PenDelfin Rabbit Chuck designed by Doreen Noel Roberts. You can view our full selection of genuine Troika Pottery for sale - here. If you're looking for something rabbit related then check out our PenDelfin Rabbit section - here. That's it for this month's newsletter. Remember, do get in touch with details of any Antique Fairs you visit that you think are worth a mention on our site. 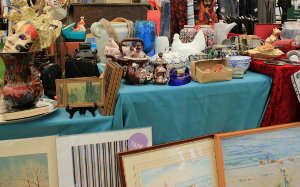 It's always great to pass on details of antique fairs that have been recommended.